1) The pot ghetto shuffle: Most gardeners have a motley collection of potted plants that never made it into the ground, and whose tender roots must suffer through a cruel winter clothed only in black plastic. Whether you paid for it, swapped for it, inherited it, or outrageously palmed a cutting during a tour, each of those pots represents a plant that, at one time or another, was of value to you. 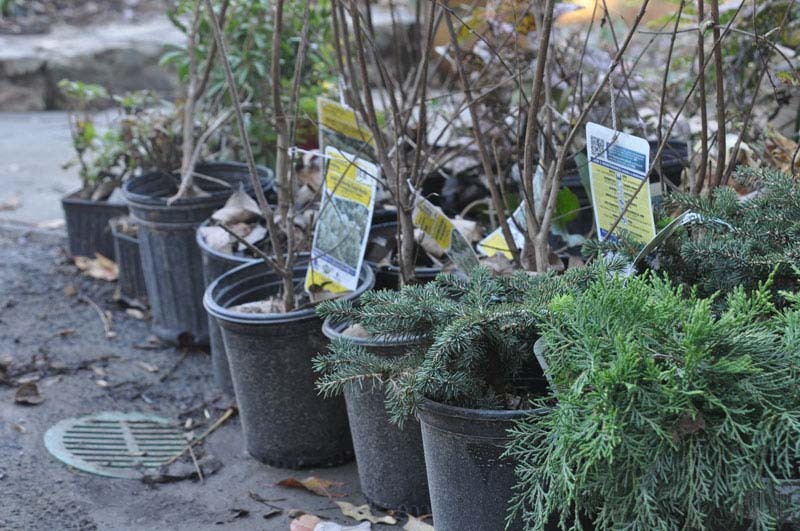 Many of them might make it through the winter, but some won’t. Quickly go through your pots. Make sure that anything that is borderline-hardy for your climate is put in the ground (even if it’s just a temporary spot). Make sure that drainage holes are clear on the bottom of the pots and keep them in a sheltered location where they still receive the benefit of rainfall. Personally, I feel enough shame in the acquisition – I certainly don’t need to further complicate things with my conscience by letting them die before they ever get planted. 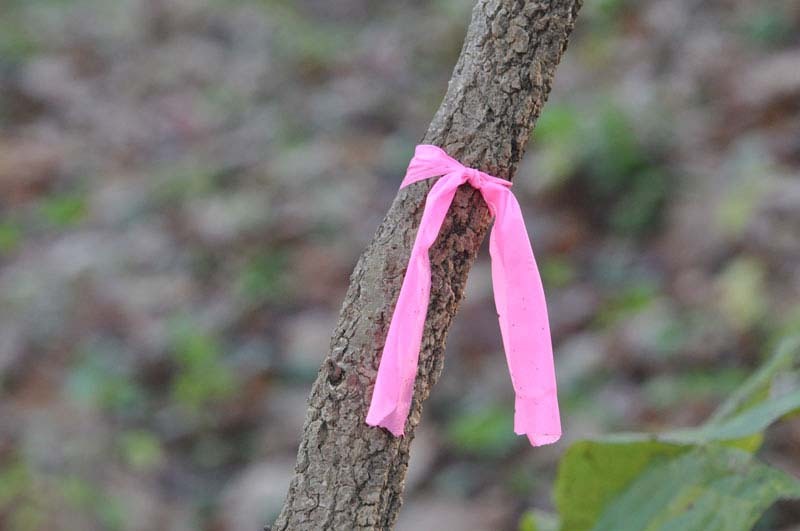 2) The grim reaper walk: Each fall, before the leaves have completely exited stage right and taken with them a prime means of identification, I walk around my property with a roll of bright pink plastic tape, marking shrubs, trees and awkward/dead branches that I wish to remove during the winter. I also carry pink flags and a sharpie so I can mark the shrubs and perennials that need to be moved first thing in the spring. It’s difficult to identify a mass of twigs and/or root crown in March – do it now and thank yourself later. 3) The tool scan: No matter how carefully I put my tools away, I have a husband and two children who find them, abuse them and lose them. 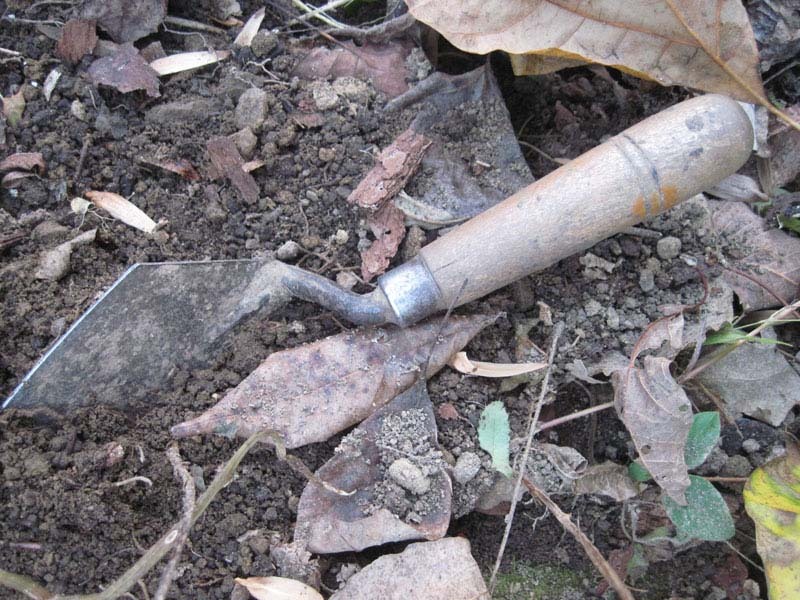 Now that grasses and weeds have died down and the temperature invites long, lingering strolls, it’s a great time for me to have a look for precious trowels and yes, even kitchen knives that have somehow ended up half buried in random places around the house and barn. A winter lying on the ground will rust my best Corona pruners, and when I find them in April I’ll be forced to kill a member of my family and spend the rest of my life in prison. It’s easier for everyone if I just find them in November. 4) The amendment question: Fall is the time to work on soil pH if there’s a need for it. If you are merely trying to change the color of your hydrangeas, then you can shelve this one for spring; but if you are trying to make nutrients more available to your plants with a pH that is better balanced, adding ammonium sulfate (acid), or hydrated lime (alkaline) right now gives the soil several months to adjust. Organic matter amendments are always terrific in fall, but if you’re just putting out fires, this can wait until the early spring. 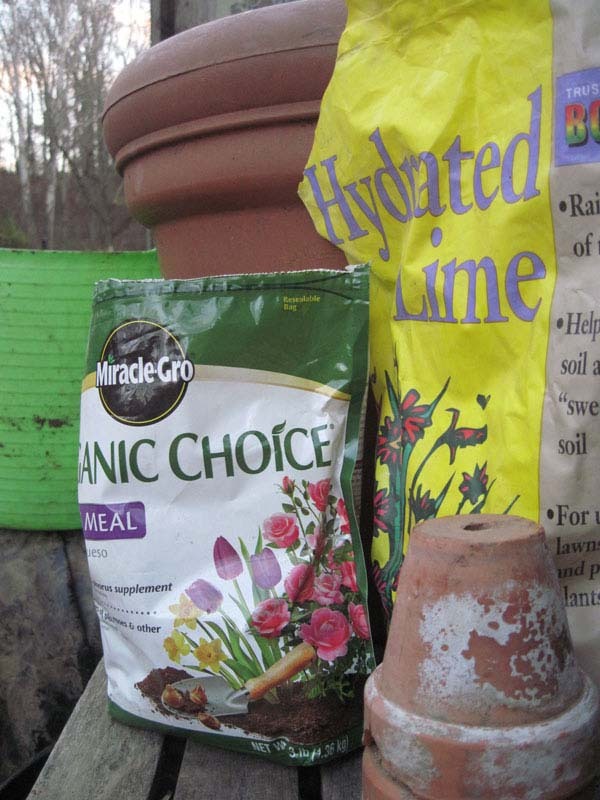 Ditto applications of fertilizer that tend to leach out of the soil over the winter months. Whether autumn or spring – don’t go by “what you feel to be right.” Get a test at the hardware store and figure out what (and if) you need it first. 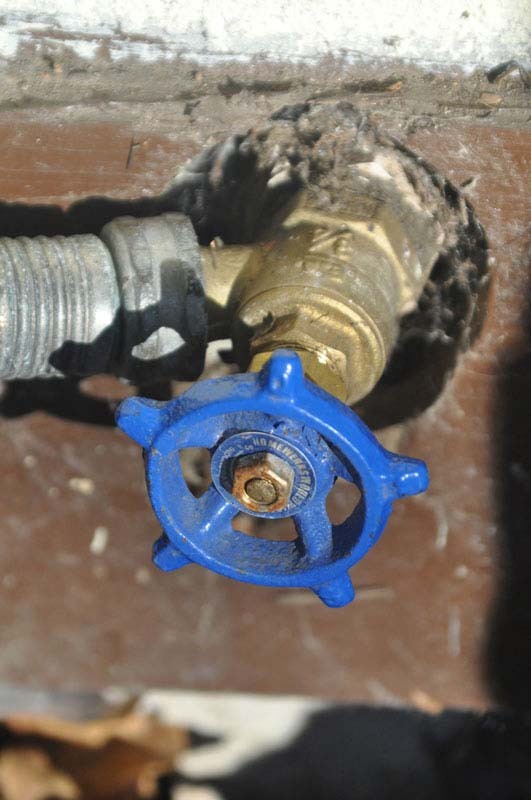 5) The spigot shutoff : Timing is everything with this one. Although you may feel that you can sneak through until the beginning of December with your hoses fully charged, it only takes one or two freezing nights to add “plumbing emergency” to your long list of tasks in April. It’s time to turn the water off people. Prioritize your tasks to capitalize on the season and you’ll feel much better about what you accomplished out there. They’ll be plenty of opportunities to beat yourself up in the chaos that is spring – why add autumn regrets to that list? Great reminder that I need to get outside and start getting my yard ready for winter! Yeah right. Like you even know what winter is in California these days. Adding a propane heater to the patio doesn’t count. such a great blog of wonderful things.